Beth Bailey and David Farber, eds. This is the first major work to relate the economic decline and cultural despair of the Seventies to the creative efforts that would reshape American society. Dogged by economic and political crises at home and foreign policy failures abroad, Americans responded to a growing sense of uncertainty in a variety of ways. Some explored the new freedoms promised by the social change movements of the late Sixties. Some challenged the technological verities that ruled corporate America. Others sought to create autonomous zones in the ruins of decaying cities or on the bleak landscape of anomic suburbia. And, against a backdrop of massive economic dislocation and bicentennial celebrations, many Americans struggled to redefine patriotism and the meaning of the American dream. 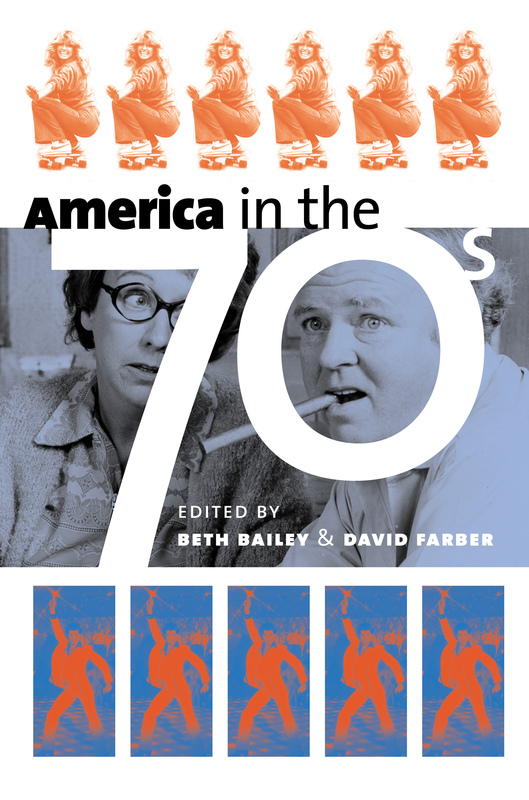 Focusing on how Americans made sense of their changing world by analyzing such sources as film, popular music, use of public space, advertising campaigns, and patriot rituals, these essays interweave the themes of economic transformation, identity reconfiguration, and cultural uncertainty. The contributors cover such topics as the publics increasing mistrust of government, the reshaping of working-class identity, and the tensions between the ideological and economic origins of changing gender roles. From existential despair in popular culture to the reactions of youth subcultures, these provocative articles plot the lives of Americans struggling to redefine themselves as their nation moved into an uncertain future. Together they recapture the essence and spirit of that era—for those who lived it and for curious readers who have come of age since then and struggle to understand their own time.